NAMING OF RED JET 6. 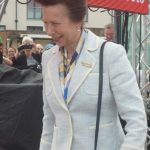 When HRH The Princess Royal, accompanied by the Island’s Lord Lieutenant Martin White, arrived on Cowes Parade at 11.50am on Monday 4th July she was greeted by 300 flag waving pupils from Cowes Primary School. 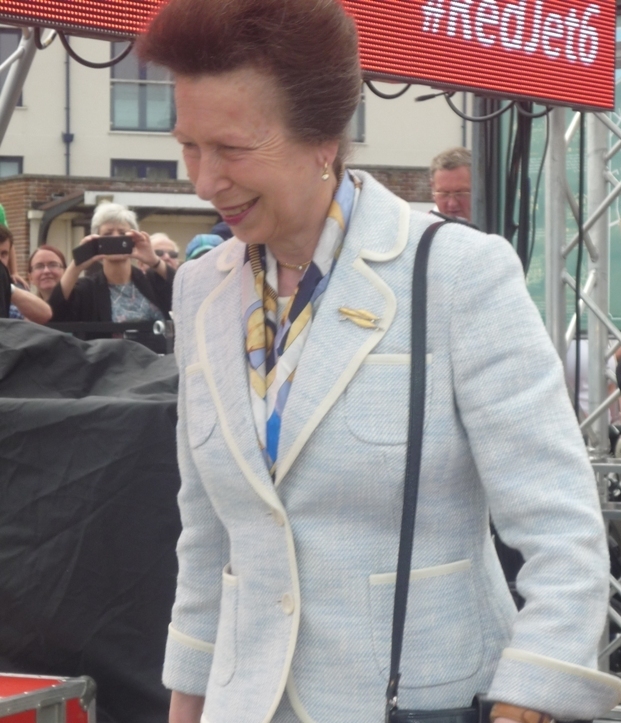 Making her way to Trinity Landing Princess Anne met assembled dignitaries including Andrew Turner MP, Cllr. Charles Chapman, Chairman IW Council, High Sheriff Robin Courage and Cllr. David Jones, Mayor of Cowes. 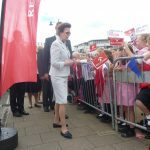 Kevin George, CEO of Red Funnel welcomed the royal guest of honour and outlined the evolution of the Red Funnel Fast Fleet as well as mentioning that Red Funnel had served the Island since 1861. 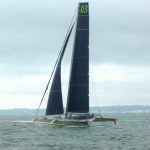 Built in East Cowes, Red Jet 6 was blessed by the Right Reverend Christopher Foster, Bishop of Portsmouth, before Kevin George invited Her Royal Highness to name the vessel. 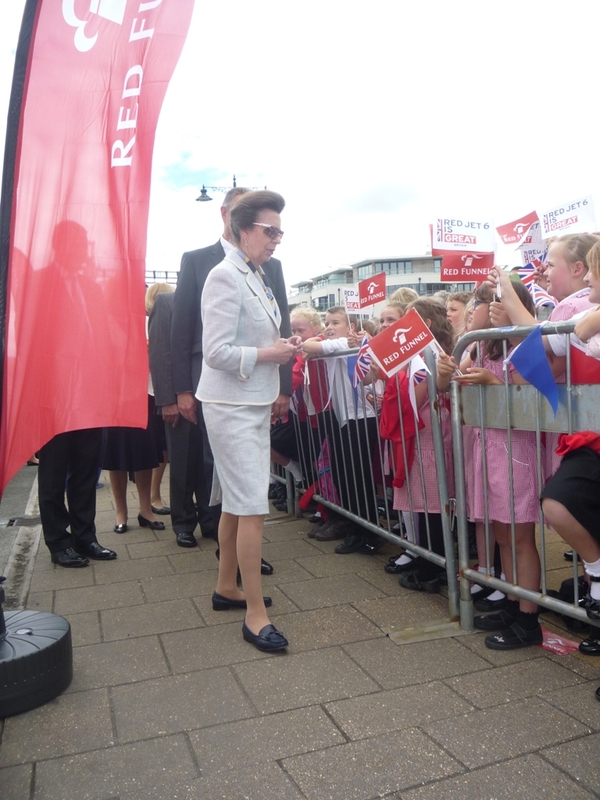 A plaque was unveiled, which will be placed on board Red Jet 6, before Kevin escorted The Princess Royal aboard the fast ferry for a viewing opportunity, along with the other guests of honour. 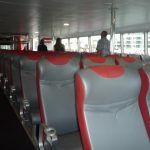 Later when the media had their initial viewing of the finished vessel, it was in pristine condition. On entering the cabin one was overwhelmed by the unmistakable small of new leather which has been used in the construction of the seats. 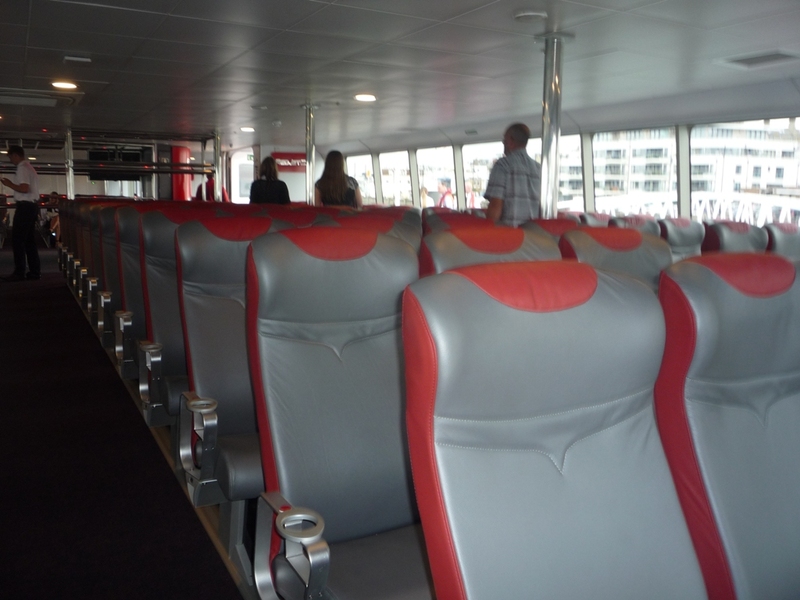 Passengers are promised a smoother journey compared to previous fast ferries in the Red Funnel Fleet. This is due to the deployment of anti-vibration mountings designed to reduce noise and vibration. 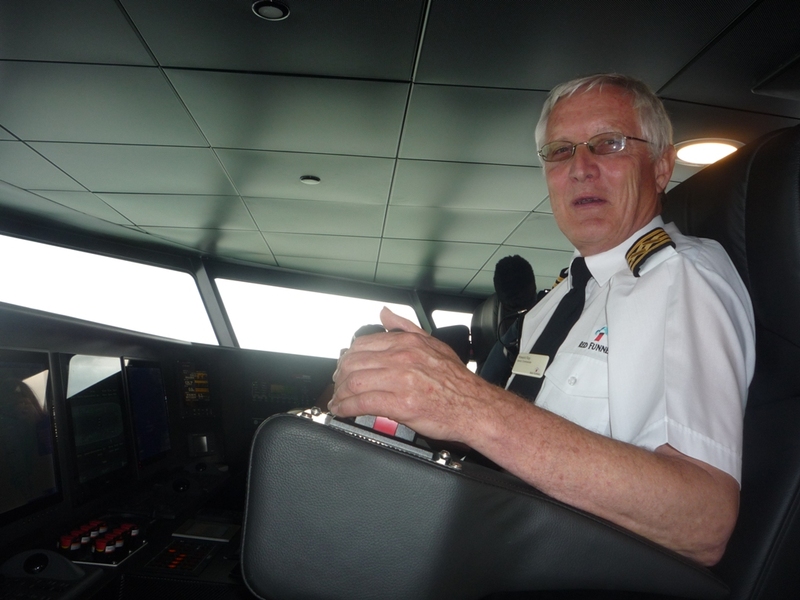 Red Funnel’s senior commander Howard Ray remarked that Red jet 6 “…handles like a dream” and revealed she had attained 42 knots in sea trials. 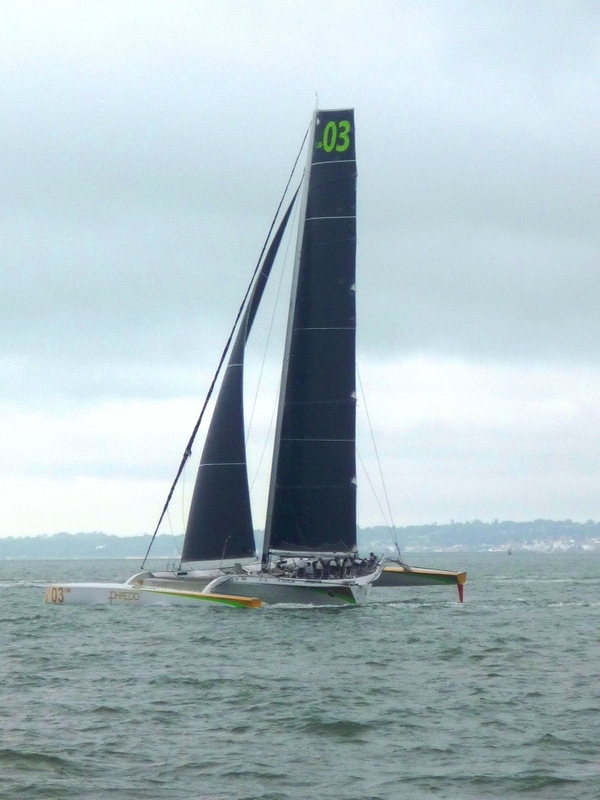 In operation 38 knots would be the maximum. 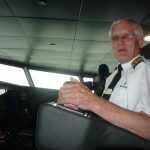 During service the vessel is manned by the commander and a Mate, who take it in turns to ‘drive’ the vessel and to aid navigation, as with most modern vessels, Red Jet 6 is fitted with radar, electronic charting and a GPS system. 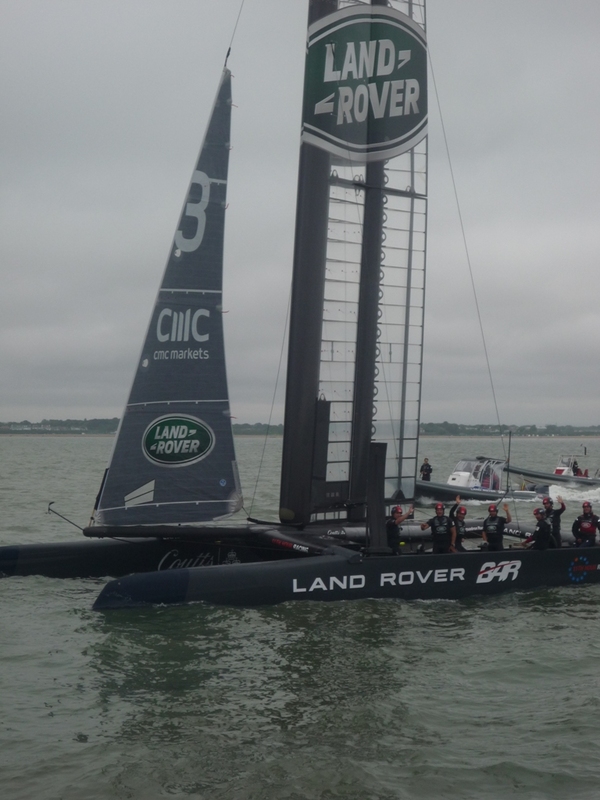 Following the naming invited guests toured the vessel before an afternoon at sea where they were able to watch a display by the Red Devils and a flypast by a Spitfire as well as watching fast demonstrations by two headline making yachts- Phaedoˇ3 (record breaker in the JPMAM RTI Race) and BAR Land Rover which will soon be contesting the America’s Cup World Series. Also celebrating the naming of Red Jet 6 was the team of builders from Shemara Refit LLP who completed the contract to build the vessel in around a year following a contract being signed in May 2015. 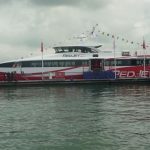 This contract represented a £6m investment by Red Funnel in marine manufacturing on the Isle of Wight and the vessel was launched on time and on budget. 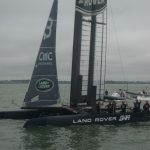 Some 80 skilled Island craftsmen have been employed during the build including several apprentices thanks to a joint initiative with the Royal Yacht Squadron’s Isle of Wight Foundation. 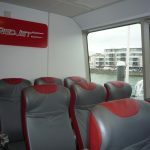 It is the first fast ferry to be built in Great Britain for 16 years. 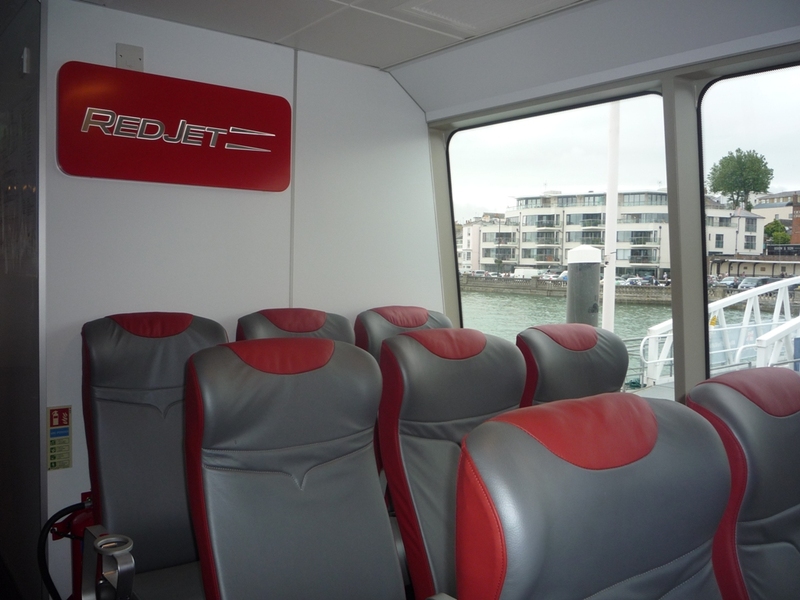 Red Jet 6 can carry 275 passengers and it is hoped that the regular service between Cowes and Southampton will commence later this month.